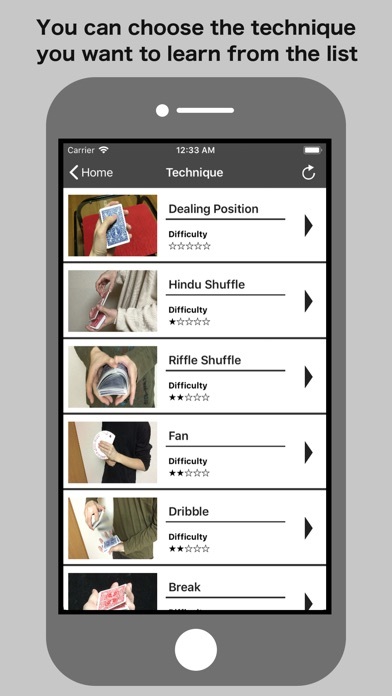 Recommended for those who want to memorize the card magic but who do not know what to remember from. 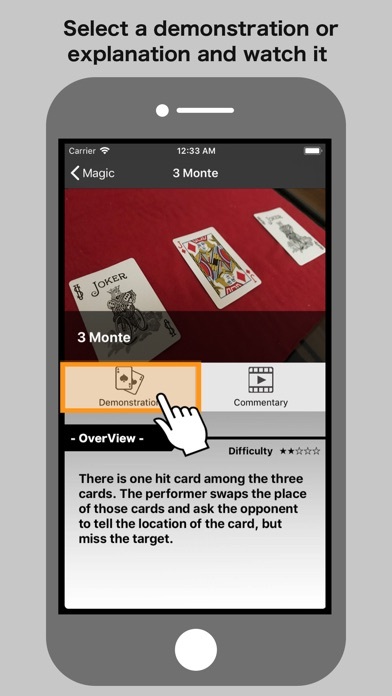 The basics of card magic is packed with this application. The categories are divided into three parts, three parts of technique, magic, and flourish. 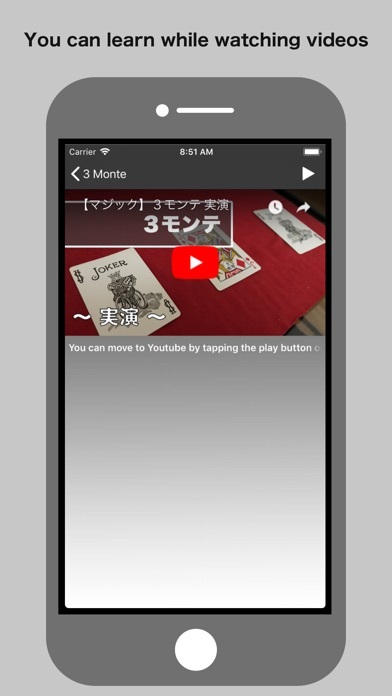 【Techniques】 I will explain the necessary skills when playing trump magic such as how to hold cards, how to expand cards, how to shuffle. First let's learn from here. 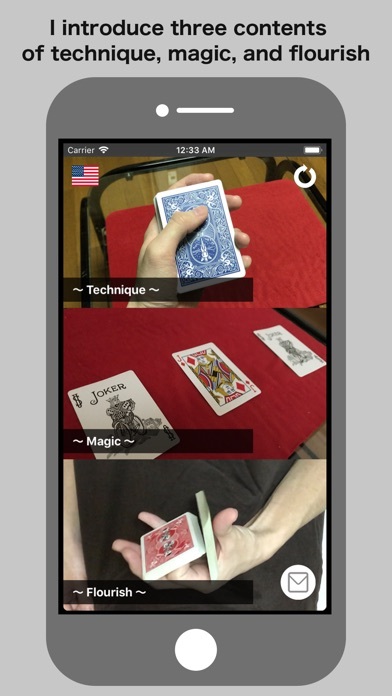 【Magic】 I'm introducing the magic that I recommend. Since it is divided into a demonstration movie and an explanation movie, after seeing the demonstration, please watch the commentary movie and learn. 【Flourish】 Flourish is like an acrobatics with playing cards. If you witnessed the Flourish, I think there is a surprise that overturns the concept of the cards I've seen so far. Please try it by all means. If you can acquire the technology introduced in this application, you will have taken the first step towards Cardigans. I will add more content in the future.